New back to basics article from one of our kind member of the community. What do you think about it? One of the important things in the design of an electrical installation either on middle or low voltage is to choose the right conductor for the given consumers. Therefore, in this article I will examine how to calculate the load and what type of conductor you can use in the different situations. There is also an easier way to calculate the amps and it is when you make a constant. For 240V the constant will be 1000W/240V=4,17. Once you have that constant, just multiply the power of the consumer by this constant and you will get the amps. Here the constant that you have to multiply is: 1000/(400*√3)=1,45. This is the way by which the loads have to be calculated in an electrical installation and according to them you have to choose the right conductor. The conductors are mainly copper and aluminum. They also divide to a voltage level, protection level and the lying site conductors. Power cable, Cu-conductor, PVC-insulation, PVC-sheathing for distribution and transmission of electric power at construction of distribution grids and installations with nominal voltage 1kV and frequency 50 Hz. Suitable for fixed outdoor laying or indoors, in cable ducts, tunnels, draw-in pits and ditches. Power cable, Cu-conductor, PVC-insulation, armoured with steel tapes, PVC-sheathing for fixed laying in grids and installations, designed for transmission and distribution of electric power at nominal voltage 1kV and frequency 50 Hz. Power cable, Al-conductor, PVC-insulation, PVC-sheathing for distribution and transmission of electric power at construction of distribution grids and installations with nominal voltage 1kV and frequency 50 Hz. Suitable for fixed outdoor laying or indoors, in cable ducts, tunnels, draw-in pits and ditches. Flat installation conductor, Cu-wires, PVC-insulation, PVC-sheath for fixed installation in lighting networks and electric power installations. Conductor with flexible Cu-wires, PVC insulation and sheath for connection of electrical appliances to the electrical grid, connection of mobile users, devices and appliances. Power cable, Cu-conductor, XLPE-insulation, PVC-sheath for fixed laying in grids and installations, designed for transmission and distribution of electric power at nominal voltages 6,10,20,30,35kV, and frequency 50 Hz. Suitable for fixed indoor installation, in cable ducts, tunnels and draw-in-pits, on cable trays and racks, directly underground and outdoors under shelters. Power cable, Al-conductor, PVC-insulation, armoring, PVC-sheath for fixed installation in grids and installations, designed for transmission and distribution of electric power at nominal voltage 6kV and frequency 50 Hz. Power cable, Cu-conductor with XLPE insulation and longitudinally water-tight conductive wrapping in the screen zone, for construction of urban and local supply networks, for connection of transformer substations in industrial facilities and projects. Designed for transmission and distribution of electric power at nominal voltages 6, 10,20,30kV. Besides these conductors there are many other types and this is why after you calculate the loads, before you buy the conductor, ask the consultants in the store which one is the best choice for you. The copper conductor is always better than the aluminum one because of its better properties but it is more expensive too. Cut the conductor with a hand tool because if you cut it with a grinder for example, the conductor may smear and you will not be able to put a cable lug. Do not twist the conductor too much because it can break easily. 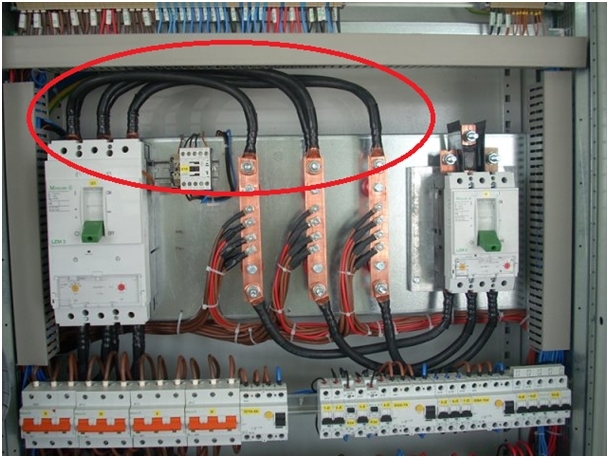 If the load is too big for one conductor, you can connect two conductors in parallel and thus the load will be distributed between them. In a conclusion we can say that it is very important to calculate the load and to choose the right conductor for an electrical installation because if you install an inappropriate conductor may became a fire. Pretty nice back to basics articles isn’t it? Give your impressions in the comments below. or copy this trackback: http://engineering.electrical-equipment.org/electrical-distribution/how-to-calculate-the-load.html/trackback from your own site. I want to know something a circuit it is a DB with switches what is confusing is how the load was calculated and what formulas are used. How did they calculate it. Palm kernel oil – the best green alternative for insulating future transformers?